Looking for something unique for dad this year? 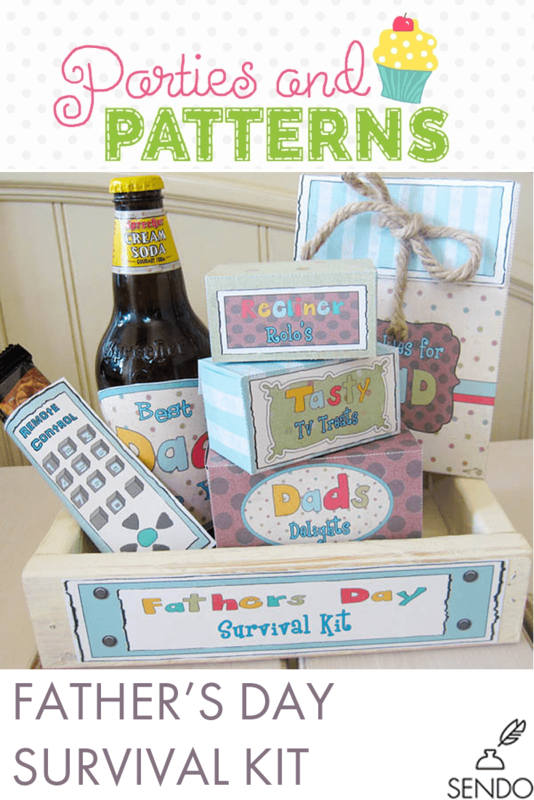 Create this homemade Father’s Day Survival Kit! 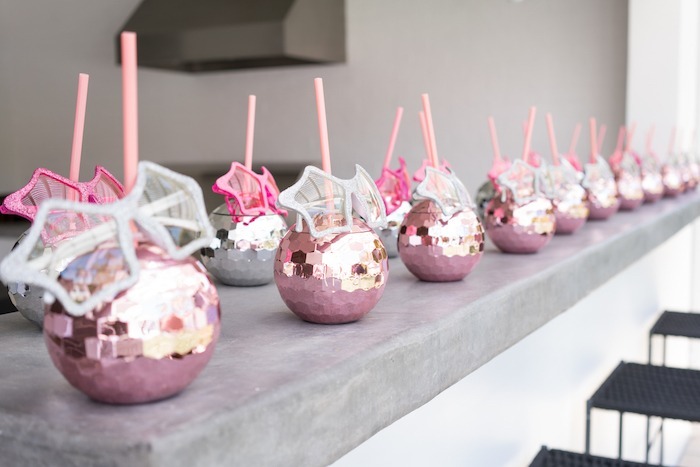 It’s simple enough for the kids to help, fun for all and dad will absolutely love it! 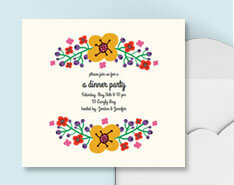 This kit includes all of the printables you see pictured, along with easy to follow directions. We’ve chosen a wooden box instead of a basket for this project. 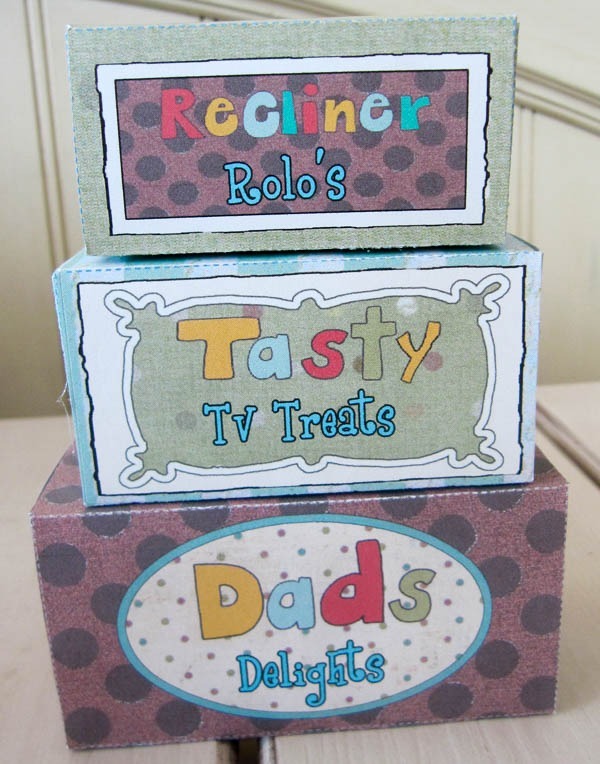 Fill these boxes with Dad’s favorite treats! 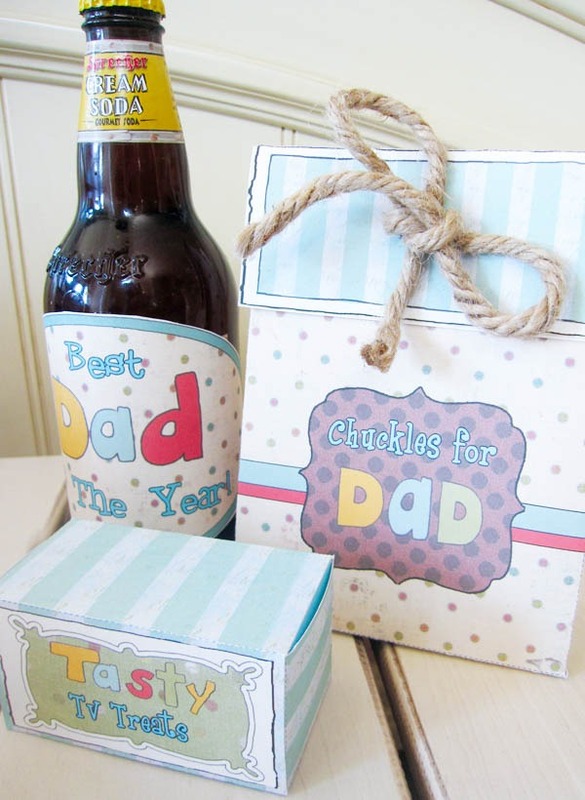 Wrap Dad’s favorite soda in this Best Dad of the Year bottle wrapper. We can’t forget to hand over the remote! Except this “remote” is covering Dad’s favorite candy bar! I don’t know about your dad, but our dad works hard all week. 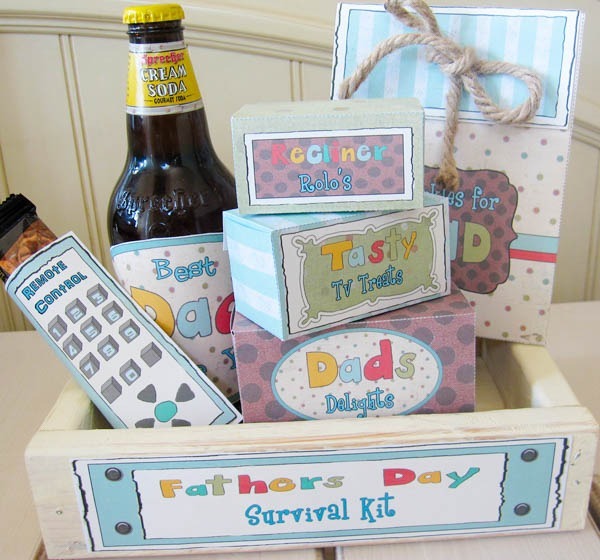 I wanted to make him feel extra special with this “Father’s Day Survival Kit” gift basket. 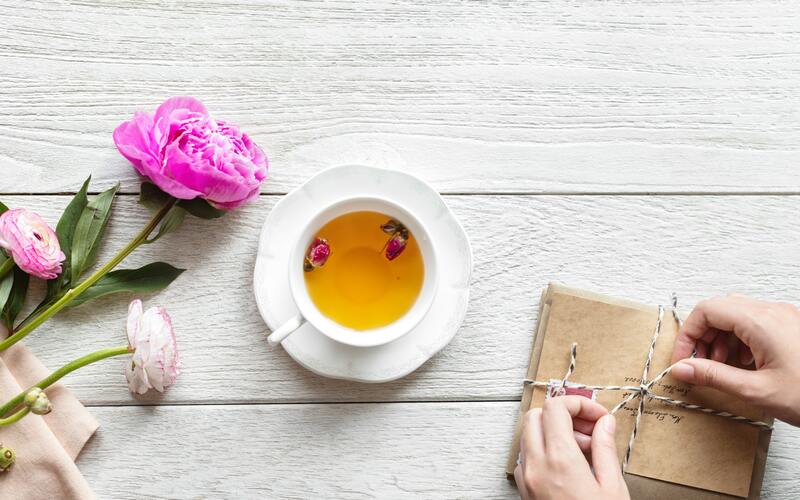 Let your dad relax in his recliner, hand him the remote and let him enjoy his special day with this survival kit. It’s guaranteed to please. This downloadable packet is complete with printable images of specialized gift boxes and bags to hold treats, remote control candy bar wrapper, treat bag, soda bottle label, instructions for all the boxes, bags, tags, labels and wood box. 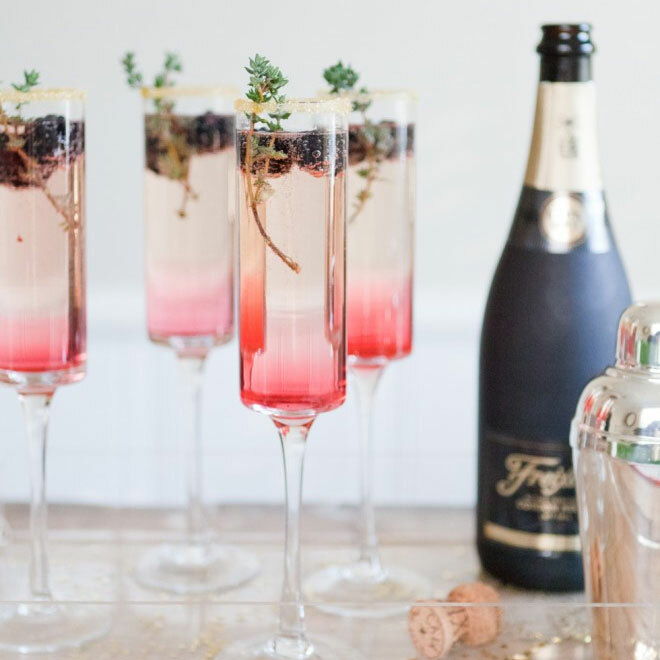 Your dad or husband is going to love this! Treat him right this Father’s Day. 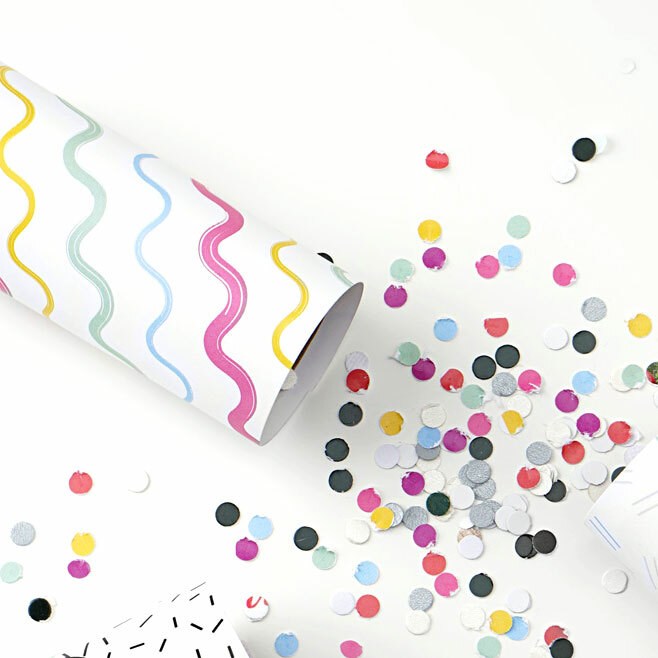 Bonus: you’ll enjoy the process of creating this homemade kit.